Schedules are specific time frames that can be defined to open or close a service. Within schedules you may specify opening days and hours or close days and hours. A default destination as user, group … can be defined when the schedule is in closed state. 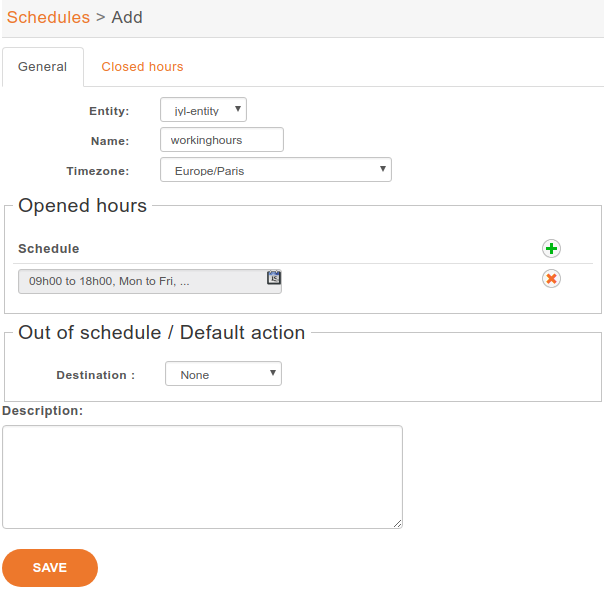 A schedule is composed of a name, a timezone, one or more opening hours or days that you may setup using a calendar widget, a destination to be used when the schedule state is closed. With the calendar widget you may select months, days of month, days of week and opening time. 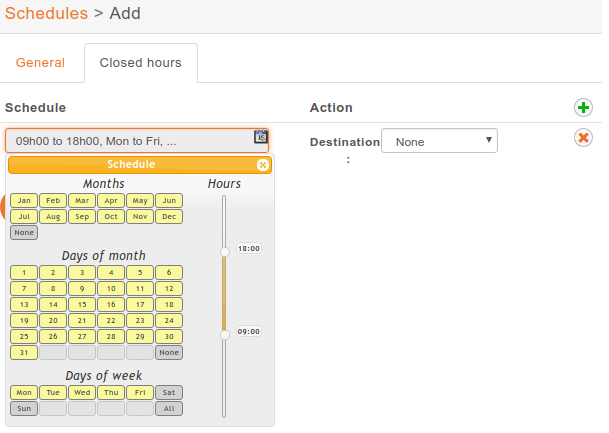 You may also optionaly select closed hours and destination to be applied when period is inside the main schedule. 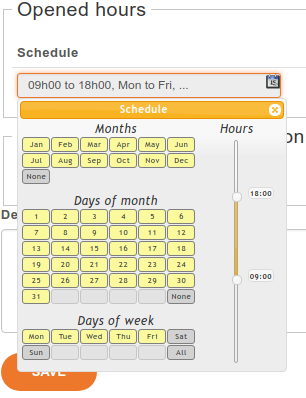 For example, your main schedule is opened between 08h00 and 18h00, but you are closed between 12h00 and 14h00. When you have a schedule associated to a user, if this user is called during a closed period, the caller will first hear a prompt saying the call is being transferred before being actually redirected to the closed action of the schedule. reloading the asterisk dialplan with an asterisk -rx "dialplan reload".